We’re back with the second in our 2018 Award Winners, companies that are climbing up the "line cards" and earning mindshare from the top IT partners serving growth markets. Hard work seems to pay off! These awards allow us to share our thoughts on channel-focused companies that stood out over the past several months – and the steps that they took to help partners do more deals, drive their top and bottom lines, and continue to solve customer problems quickly and efficiently. One reminder: Our awards represent our POV - a way for us to identify vendors/channel teams that are doing things we all can learn from. We recognize these companies because they stand out from the pack in terms of best practices program design, coupled with partner-engagement and execution. 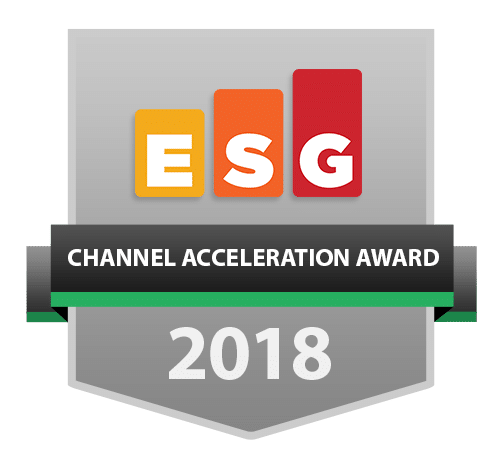 Here we go with the latest ESG Channel Award winner! This category is open to vendors that leverage strong technology coupled with investment in a complete partnering approach designed to support Managed Services Partners in its segment. In particular, the vendor must demonstrate creativity in overall market approach that is producing rapid growth within the channel. Commitment to making the right investments to support the partner journey toward deeper transformation to the managed services business model. Cover all MSP pain points – Net-new acquisition, customer retention. Provide support for joint development of MSP-branded offerings. Add a monthly utility billing model by instance, reducing MSP cash flow risk. Unity API supports partners on the operations side – system, operations, and management help them effectively manage costs. Deliver campaign-based sales and marketing assets (collateral, webinars, sales guides, POS tools). Follow-up to add sell-with local activities that are focused on landing net-new MRR clients. The Webroot MSP Program effectiveness speaks for itself through 40% growth in MSP revenues YoY. Built-in product functionality shortens the sales cycle, and deployment and operations tools reduce total cost of support for the partners. Partner Edge program elements support and motivate managed service providers to invest with confidence up-front, knowing that their investment in Webroot will yield the predicted ROI. And we’re keeping it going! 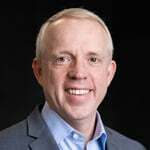 - Webroot is the second of six winners we will be recognizing during April and May - highlighting leaders in other areas, including cloud go-to-market, program innovation, and program evolution. As always, we’d love to hear your thoughts and feedback – the next winner will be coming your way shortly!